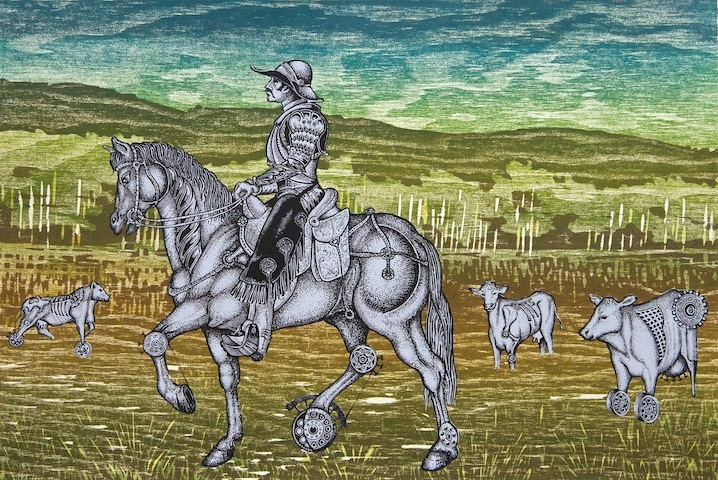 The Cowboy, wearing half-armor, is modeled after Albrecht Dürer’s famous print, The Rider, which depicts the ideal knight. 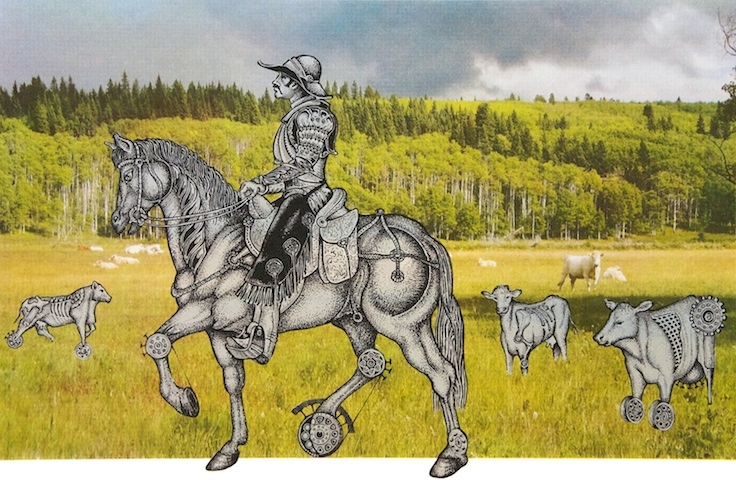 In the West, the Cowboy embodies the romantic ideal of the Knight. However, this is part of a nostalgic past, as traditional ranching is replaced by more mechanized and modern methods.